Tower Premium WordPress theme made by Codeless its a powerful platform that help you to create custom web layouts. You can choose the wide layout and the color of the background or the boxed one. 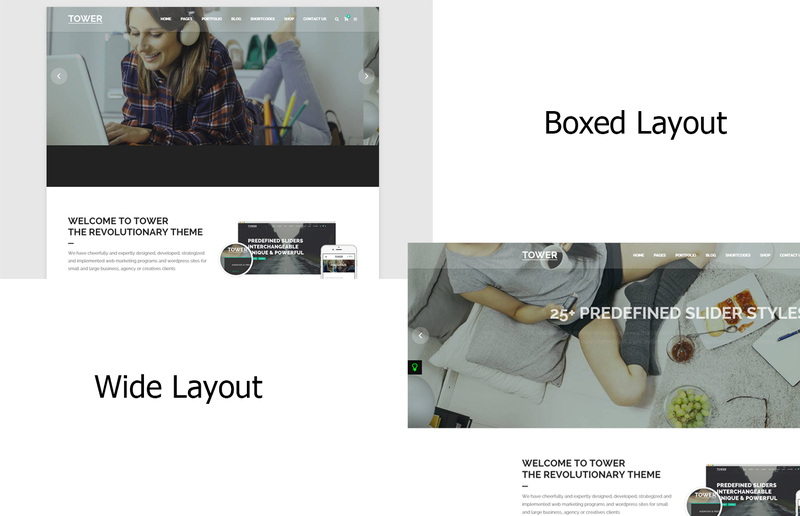 Boxed layout its often used to create minimal and business websites. This type of layout focus people to the content and this help websites to increase the bounce rate. Tower its created with best seo techniques in mind. You can set the exact width of your websites layout in pixels. Fluid layout let you create an websites from 300px to 1200px. So everything will be set by you. Tower comes also with different demos that have boxed and wide layout predefined. You have only to click on those demos to activate this configuration.